There are many goods things are in the college but we have to wear the I card in the college all the time it is the only bad remarks. According to me this a good college because the principal is a good person and all the staff members are well educated all the cultural activities are very good the education and the sports level is very good for the students. Arya PG College is one of the best and the oldest colleges in Panipat district of Haryana in the field of non-technical & professional courses. It is officially approved by the UGC (University Grants Commission). The college offers post-graduate & under-graduate courses in Science, Arts & Commerce. Additionally, it also offers post-graduate diploma courses. 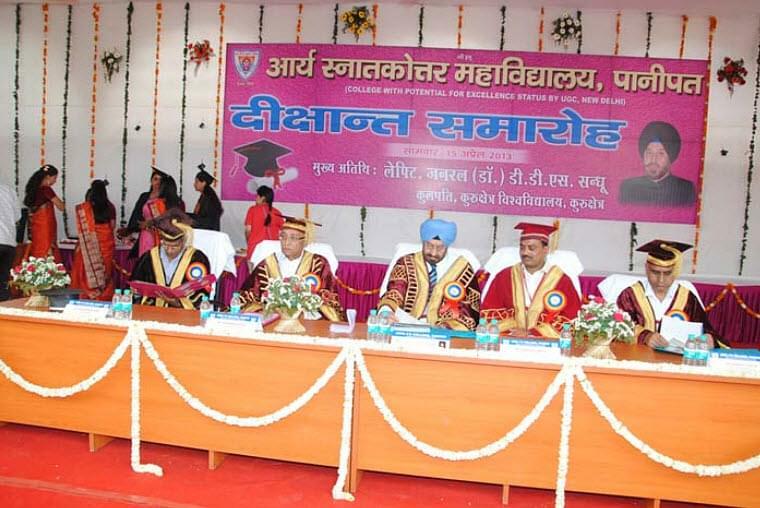 The university was established in 1954 in accordance with an Act of the Indian Parliament. The year 2010 is a landmark in the history of A.P.G. 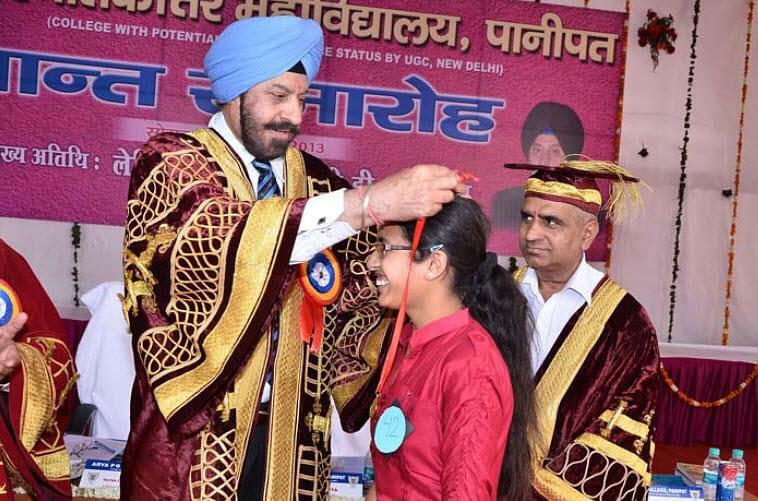 College, Panipat as University Grants Commission, New Delhi bestowed on the college a unique honour of "Centre with Potential for Excellence". The college has built for itself a reputation of excellence in professional education, culture and research. The college offers deep and valuable education in both under-graduate and post-graduate level. It takes pride in its infrastructure that extends to about 15acres of land. The college educates about 4000 girls & boys. The college has offices for its staff, high-tech classrooms & other infrastructure for all-round development of the students. 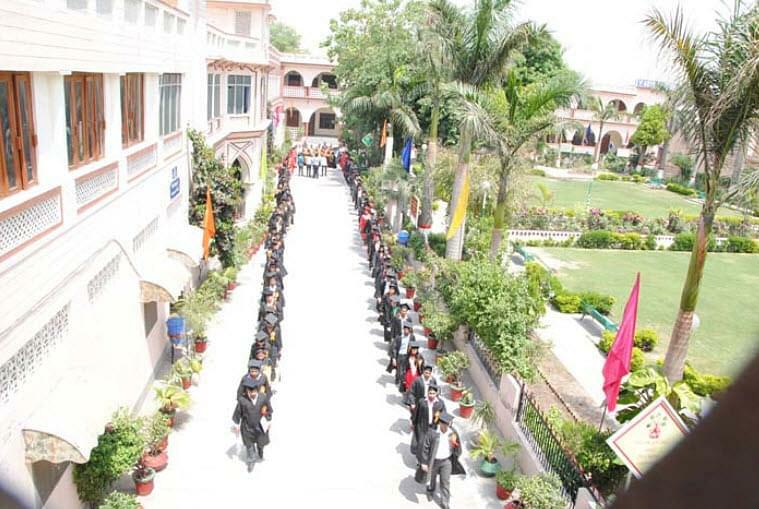 The college is well-reputed to have been placed and ranked the best college in Panipat when it comes to academic results. The students have bagged many university positions in various semesters. The college has various courses to offer to its students. It has Under-Graduate, Post-Graduate, Job-oriented and many other add-on courses. The college facilitates not only excellence in studies but also in other activities. It involves participation in a number of extra and co curricular activities. It believes in developing the student as a whole and not only the mind of the student. There is a great encouragement for participation in sports. It has fields for various activities as well as infrastructural facilities for playing cricket, badminton, etc. The college also hosts cultural events within and outside (Intra and inter) the college every year. Every student is encouraged to take part in these events so that their inner talent can be explored. All departmental associations of the college play an important role in organizing various activities such as debate & declamation contests, group discussions, mock interviews, quiz contests and many more. The college makes all possible efforts to germinate the seed of sociality and social service in the students through NSS, NCC, Women Cell and Legal Cell of the college. APG College offers several facilities to its students so that they can succeed in their aim and come out of college with flying colors. They ensure this with all the various facilities which they believe is important for their student’s overall development. The facilities offered by the university include Hostel, Health Care, Library and several others. Hostel : The University offers accommodation/hostel facility to most of its female students. There is a women hostel in the campus which is aesthetically and exclusively for the girls studying in the college. Library : The college library is called “The Swami Vidyanand Saraswati Library”. It is one of the best centrally air conditioned library in the town of Panipat. The library has an extensive stack of more than 55,000 text books and other reference books. The library subscribes to plethora of Journals – both national & international. It also has a number of e-resources in the form of CD's and DVDs. The library also subscribes to on-line journals through DELNET. Health Care Centre : The College has a well-equipped dispensary for first aid and minor medical services. 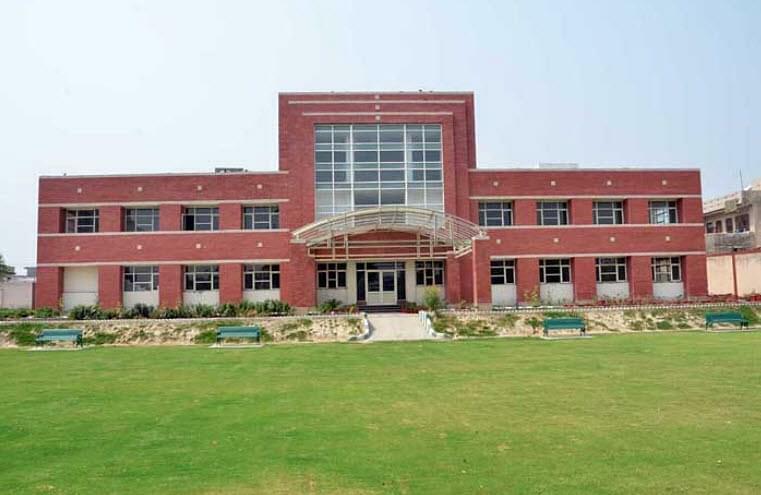 Apart from this the College has a very commendable program of a regular tie up with reputed hospitals for general check up and treatment of the students. Playground, Sports Rooms : Besides having fields for almost all the athletic events, the College has the physical and infrastructural facilities for various field games like cricket, badminton, basketball, volleyball, football, handball, hockey, kabaddi(NS), kho-kho, wrestling, etc. The College so as to say has a separate sports room and a Badminton Hall. Some other facilities include auditorium, seminar hall, placement Cell, etc. Another very interesting practice that the college indulges in is ‘Havan’. It is practiced for the promotion of ethical values among the students and also contributes in cleaning the environment. These are certain facilities that guarantee the student efficient education and development. The College has been known as the one of the best colleges in Panipat as per word of mouth. It is highly appreciated and also is greatly regarded as the first choice in colleges for students in Panipat and surrounding areas. The college was recognized in 2010 as the “Centre with Potential for Excellence” by the UGC, New Delhi. The college has always topped the academic ranking due to the excellent results of its students. This is also why it is ranked first when it comes to academic results. The college is aimed at achieving excellence by means of academic development. This is also why the college charges a minimal fee to its students. The college can be accessed by students from almost every kind of financial background. The college charges an annual fee of Rs. 3,856 for students pursuing under-graduation and Rs. 3,861 for students pursuing post-graduation. The college also expects a payment of Rs. 430 and Rs. 500 as university examination fee for UG and PG respectively. The college has a provision for giving scholarships to its students which are both National and State level sponsored scholarships schemes in the college. These scholarships are awarded to those who have excelled in the fields of academics, sports or similar. Stipend Scheme for welfare of Grand Children of Freedom Fighters. Apart from the above mentioned scholarships the college also offers many awards to its students as an encouragement or incentive to perform better. Most of these are cash prizes of Rs. 5100, Rs. 3100, Rs. 2100, and Rs. 1100 each given to those students who secure 1st, 2nd, 3rd, and any position in the university merit list respectively. I want go for IIT JEE so am doing my best for this so I think this college is best for me because there is a special lecture for the students for the preparation of the high level exams i think this is a gud college for me and I suggest you for this college you can join it if you want to achieve your goal seriously you may feel very happy after joining this college.